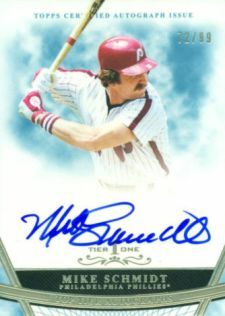 Now hitting hobby shops and online retailers, 2011 Topps Tier One Baseball includes two autographs in every pack. They're on-card signatures to boot. 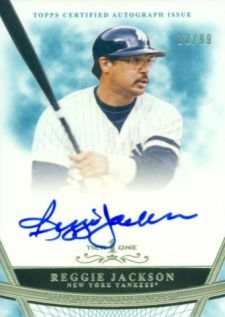 Although not all the players are going to be hot, several of the 2011 Topps Tier One autographs come from Hall of Famers and retired fan favorites. 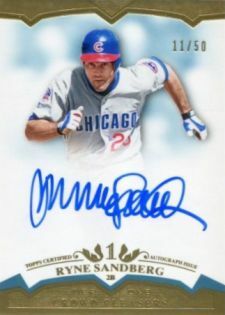 The 2011 Topps Tier One Crowd Pleasers Autographs checklist includes the likes of Ryne Sandberg, Albert Belle, Edgar Martinez and Bert Blyleven. 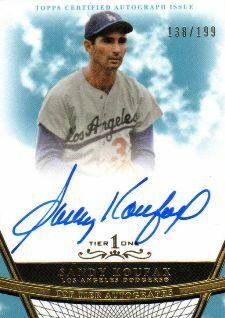 Meanwhile, the 2011 Topps Tier One Top Tier Autographs checklist features Sandy Koufax, Rickey Henderson and Reggie Jackson. Hank Aaron and Nolan Ryan are available as redemptions. Not surprisingly, it's these legends that are leading sales. A Koufax card signed in silver and numbered to 25 is seeing lots of actions, with bidding approaching $500 with two days still remaining. Several more common autographs of the Dodgers great are hovering around the $200 mark. 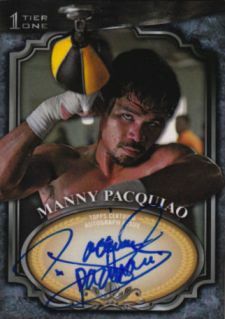 Another hot autograph from the set is boxing champ Manny Pacquiao. One has already closed for $250, while others are getting brisk bids. A parallel numbered to 25 is sitting with a Buy It Now price of $1,500. 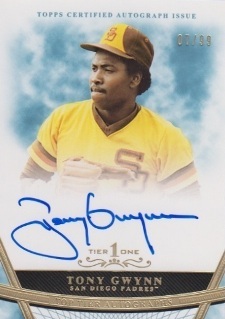 This is the fourth Pacman autograph released in Topps baseball products in 2011. 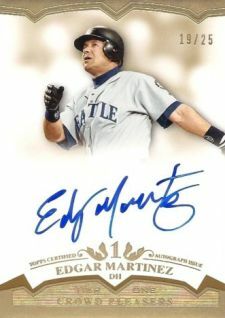 He also appeared in 2011 Topps Triple Threads Baseball, 2011 Topps Allen & Ginter and 2011 Topps Marquee. While the autograph design is very elegant, the set does appear to have some issues. There are a ton of redemptions, both for autographs and relics. 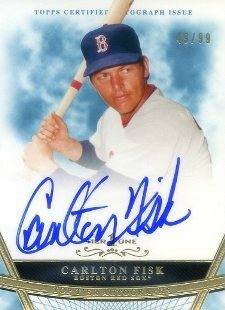 Although redemptions are a necessary evil at times for late signers, it's difficult to justify having to wait for a memorabilia card unless it's too big to fit in packs. Besides Ryan and Aaron, other 2011 Topps Tier One autographs inserted as redemptions include Eric Hosmer, Roy Halladay and Albert Pujols. RUBEN TEJADA 2011 Topps Tier One ON CARD auto AUTOGRAPH 25 mets RARE SSP!